Archery in Uranus? Oh my! Actually, Uranus has a pro archery shop and a level two certified instructor, Jake Kalkman. Jake is pretty well-known in archery aficionado circles. When the News from Uranus stopped in to talk with him about archery, Larry Lyle, a local customer happened to be in the store. Larry was in to talk with Jake about fixing his father-in-law’s bow and started singing Jake’s praises to the News from Uranus. “Jake is my go-to guy for bows. He knows his stuff. I send everyone to him,” Larry said. We asked Jake how you can tell if a bow is right for you and he said individuals should look for a couple of things, based on their wants and needs. “You want it to feel good in your hands. It should be comfortable. The draw length and weight should feel comfortable to shoot for the individual,” Jake said. Jake gave us five tips for finding the right bow. Shoot every bow you can get your hands on. Jake said he’s not “here just to make money” and he wants his customers to find the exact right fit for them. “A bow can be a big investment,” Jake said, and individuals should get the right one for them on the first try. Buy good accessories before you buy your bow. Jake said accessories last a lot longer than a bow does so purchasing good ones are a great investment and only help in the experience. Jake said you can’t practice enough. “Practice, practice, and practice some more,” Jake said. Practice will make you accurate and enhance your experience. “More often than not I see people spend their money on something they aren’t happy with, do your research before you buy,” Jake said. 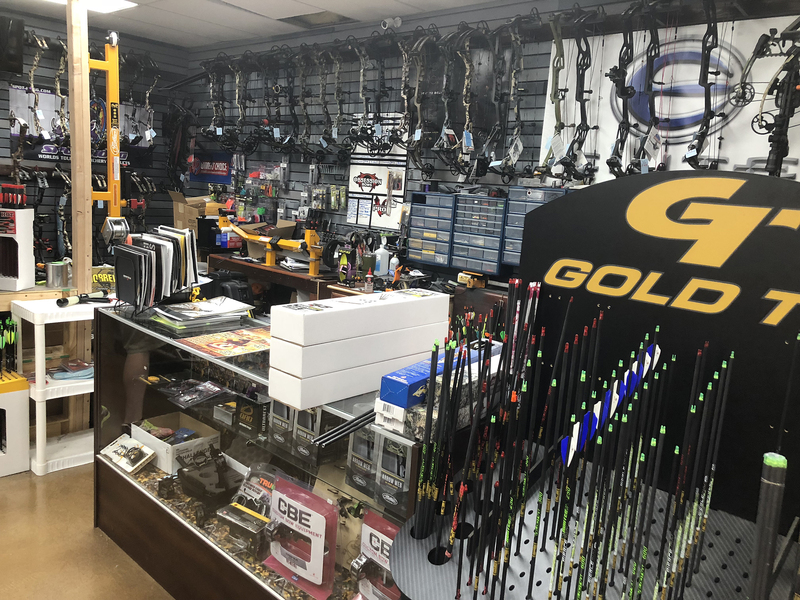 Jake said the pro shop offers things you can’t get anywhere else, including his expertise, hand cut and fletched arrows, as well as all the accessories you can think of. Additionally, Fort Uranus has the exclusive for the area on certain brands.